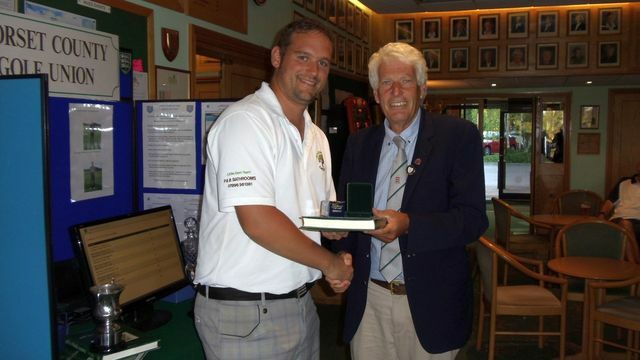 The Category III & IV Championships were played at a sun drenched Dorset Golf & Country Club with just a slight breeze and given the heat and the superbly fast greens this proved to be a stern test for the players taking part. Scoring t was going to be a tough battle. Home player Paul Schmeider led the way coming home with a net 76 as predicted scoring proved tough with some holes and players racking up the shots there were however three 74’s from Steve Cook Weymouth, Richard Harding Wareham and Wayne Dewey Ferndown Forest but the best round in the Category III championship was by young Marcus Lovesy of Canford School who had a fine net 72so congratulations to Marcus sadly for him it was not quite good enough to secure the place to Woodhall Spa. The Category IV Championship followed on out after the category III and again it proved a struggle for some with the heat getting to a couple who decided to leave early. 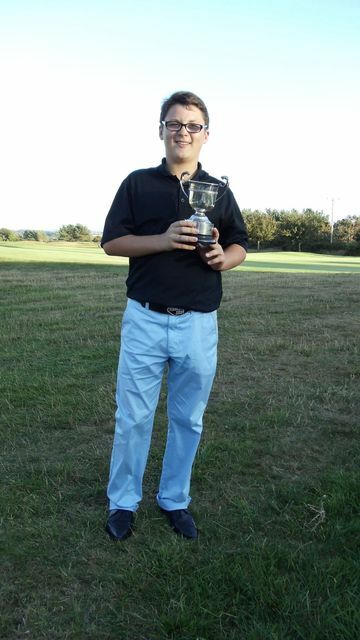 That said there were some good scores recorded and again the local player Matthew Hallett was the club house leader for most of the afternoon with a fine net 69 which included a good birdie on the fourteenth. 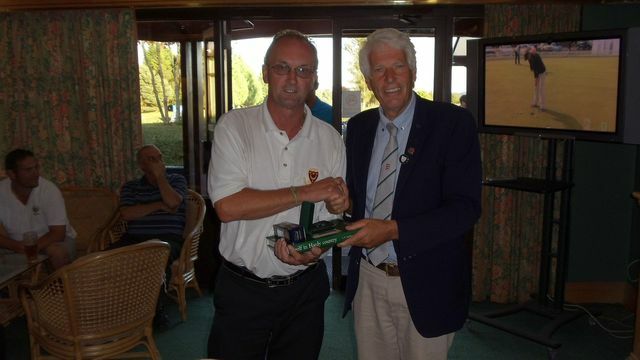 Mark Hazeltine held second spot with a one over net 73 which had a birdie at the short par three seventh, they always say you leave the best to last and this proved to be the case as Ashley Woods Martin Grimshaw came home with a fine net 68 to scope the prize at the death so to speak. His card had no birdies just steady golf. 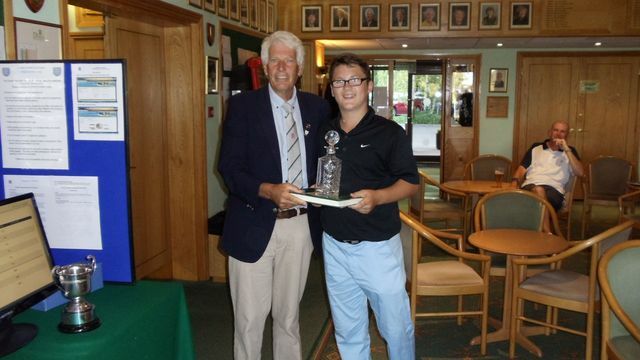 Martin became the category IV County Champion and will also represent both the County and his club at next year’s English Gold Medal event at Woodhall Spa.